Okay, okay, it may not be the Legion of Super-Heroes as we know it, but it’s still pretty cool to see Brainiac-5 teaming up with Dreamer (whose eventual descendent, Dream Girl, is part of the Legion) in the latest batch of Supergirl episode photos. Episode 2, “Fallout,” sees the two of them partnering up to…deliver pizzas? 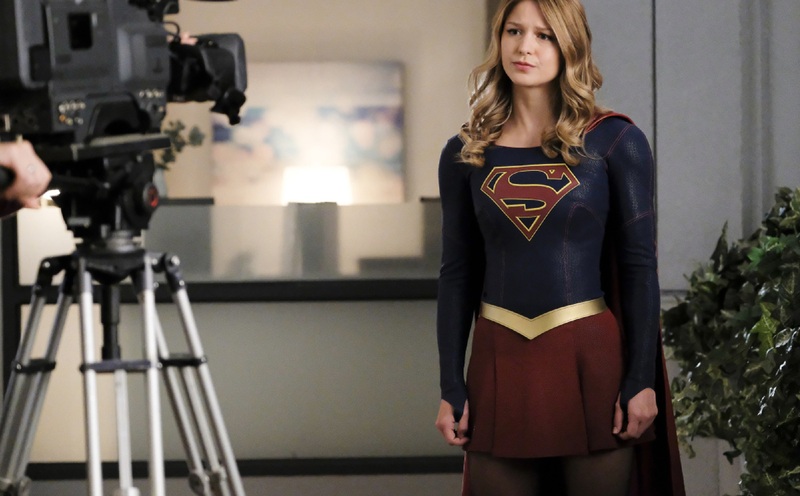 We’ll have to see what that’s about, along with what Supergirl’s doing in front of a camera and whether James will once again put on the Guardian suit or just rock the three-piece he’s wearing in these photos, which, admittedly, is a pretty great look for him. “Fallout” airs Sunday, October 21 at 8 p.m. (7 p.m. CST) on The CW.